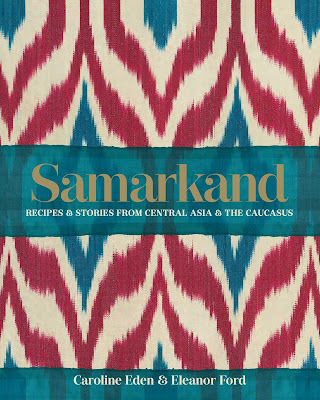 Uzbek Journeys clients, and readers who are dreaming about visiting the Silk Road, will relish this new publication Samarkand: Recipes and Stories from Central Asia and The Caucasus. 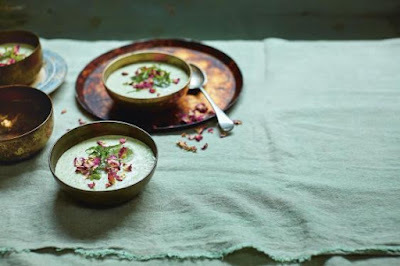 Caroline Eden, a regular contributor to the food and travel pages of London's Financial Times, The Guardian and Independent newspapers, teamed up with Eleanor Ford, a recipe developer and editor for the Good Food Channel and BBC Good Food, to produce this lavish book. For many centuries various ethnic groups passed through the fabled city of Samarkand, sharing and influencing each other's cuisine and leaving their culinary stamp. Over 100 recipes, adapted for the home cook, are showcased, interspersed with personal travel essays introducing the region and its ethnic groups: Uzbek, Tajik, Russian, Korean, Turkish, Caucasian and Jewish. Of course Uzbek plov is featured and as Eleanor Ford said in an interview with the Evening Standard: "This is absolutely the defining dish of the region, and it is such an exciting experience going at lunchtime to one of the plov kitchens - bustling canteens where hundreds of people are served from this one vast kazan pan. One chef would be doing it, layering up meat and rice and vegetables with just a little bit of spice. That way everything is scented by the slow cooking meat which is at the bottom of the pan. Officially this is a lunchtime dish, or a dish served at weddings or celebrations". Gloriously photographed, the book displays the vibrancy and culinary originality of this remarkable region. Definitely a treat for yourself or on the Christmas list for a friend.